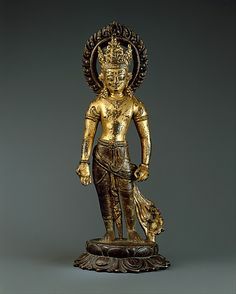 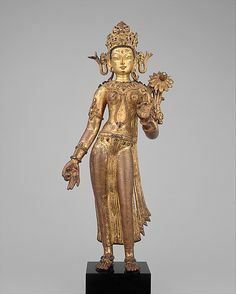 standing tara and padmapani | 8th-9th century, Nepal, Amoghapasha, gilt copper+cold gold+pigment on . 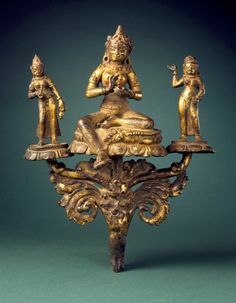 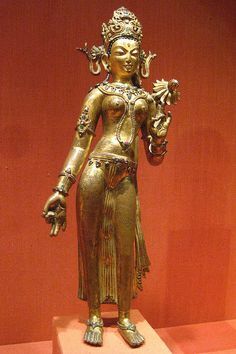 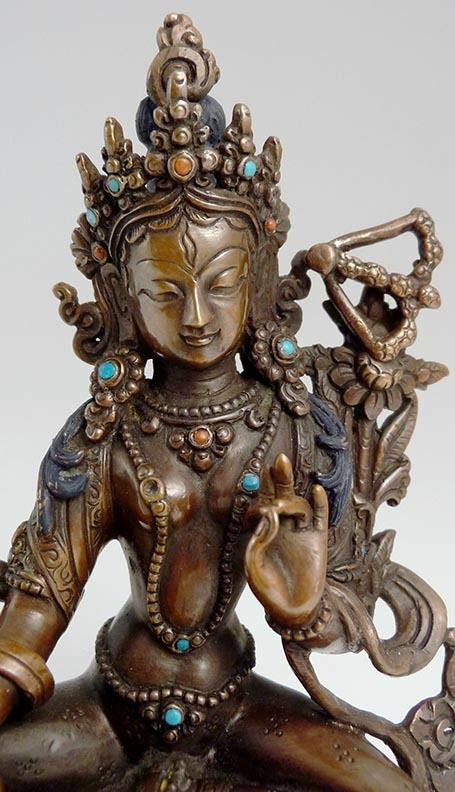 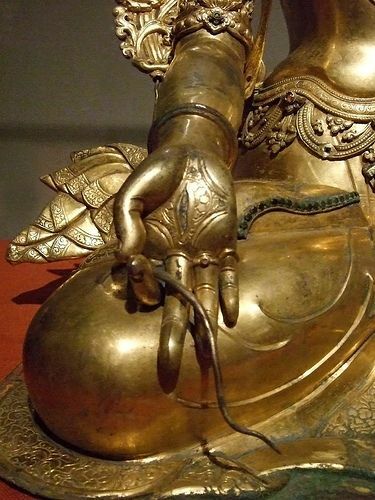 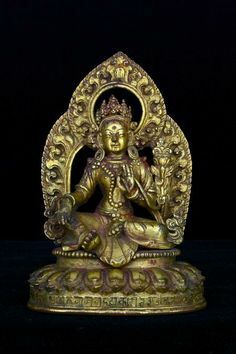 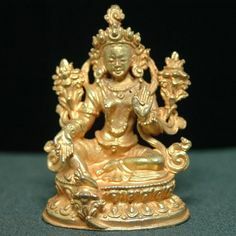 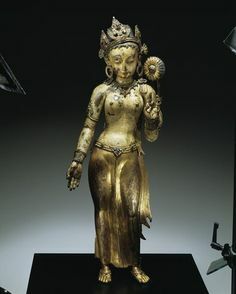 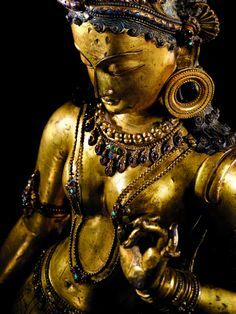 14th century, Tibet, Tara, copper alloy, private collection, photo by Nagel. 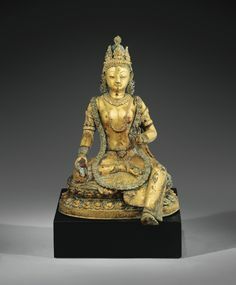 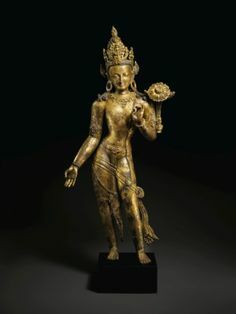 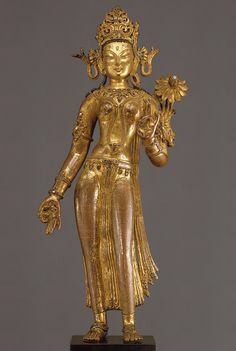 14th century, Nepal, Tara, Vajratara, gilt copper, at the Boston Museum of Fine Arts (USA). 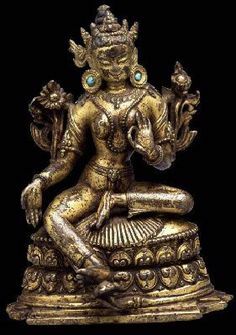 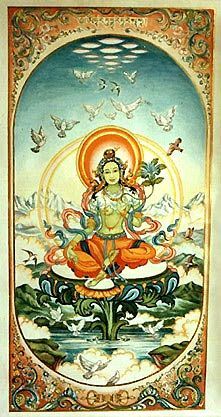 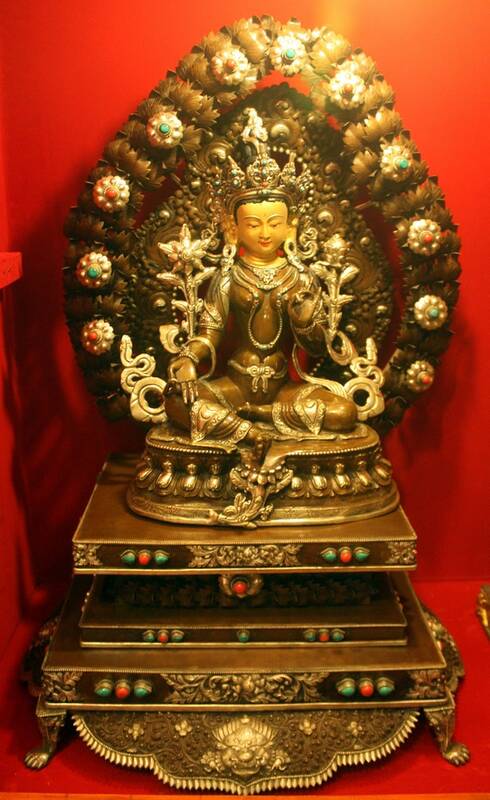 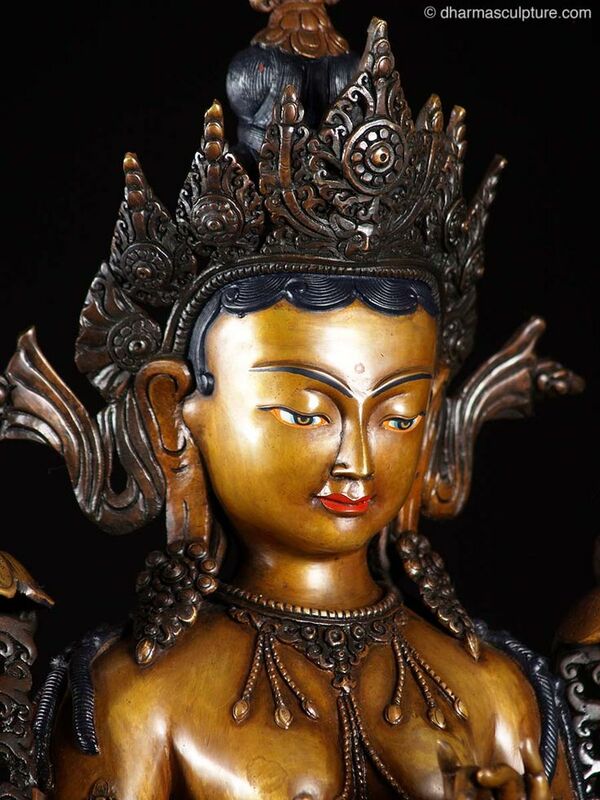 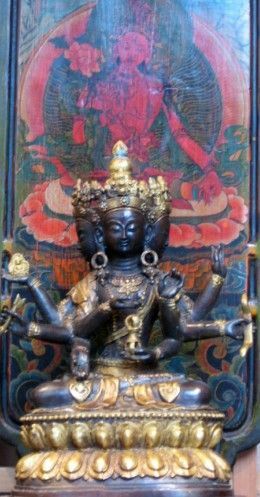 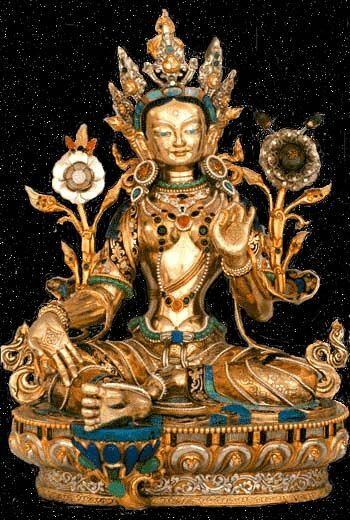 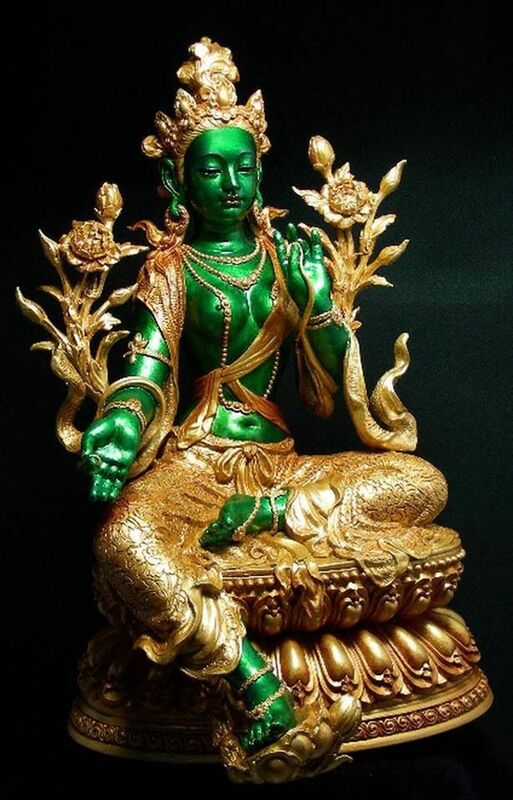 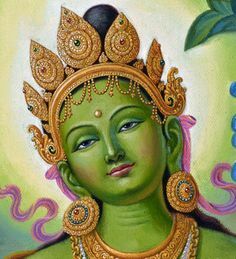 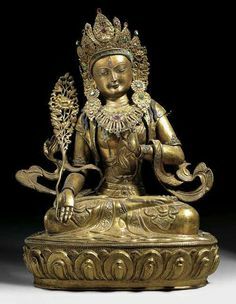 Green Tara, female bodhisattva of wisdom & compassion., Nepal, gilt-copper with inlaid stones. 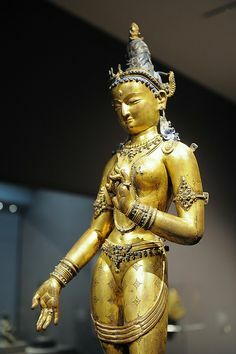 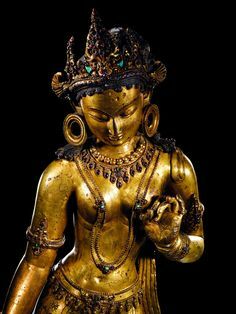 century, Nepal, Tara, gilt copper alloy and gems, at the San Francisco Asian Art Museum. 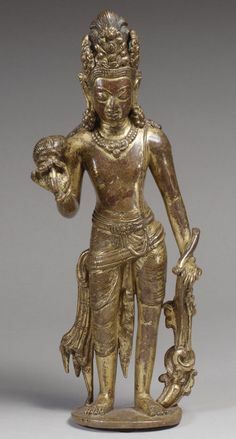 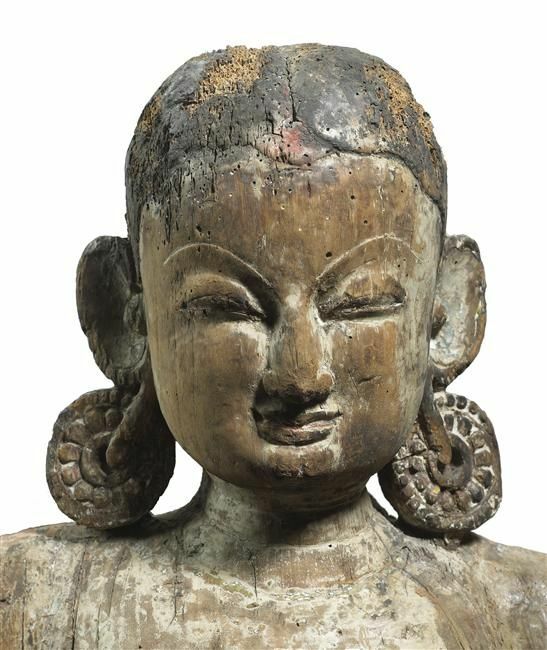 Head of Tara or a buddhist puja devata from Nepal. 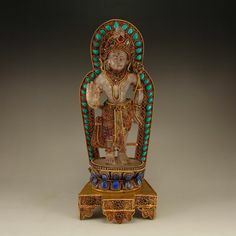 Carved wood with trace pigment. 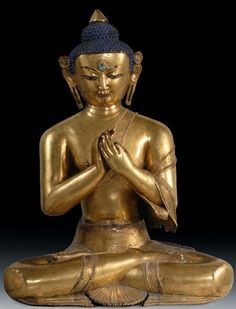 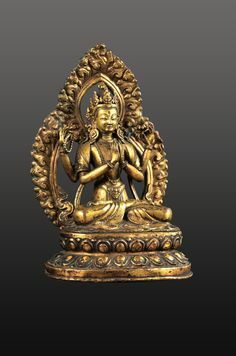 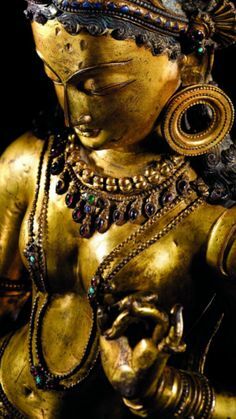 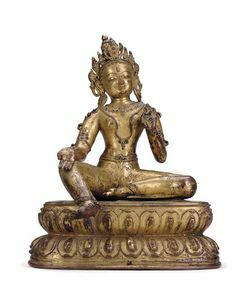 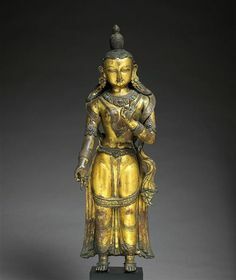 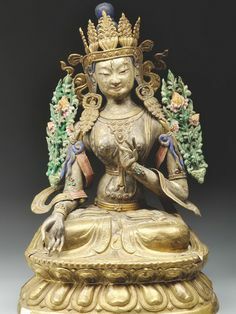 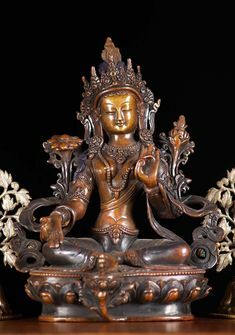 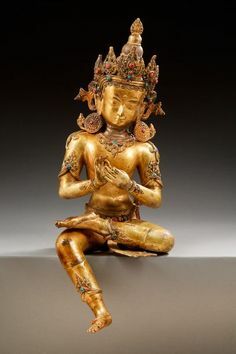 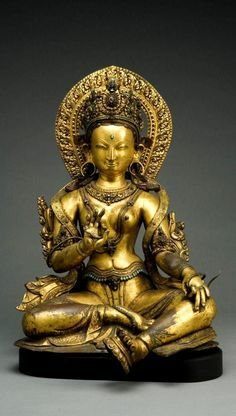 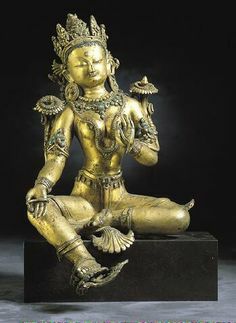 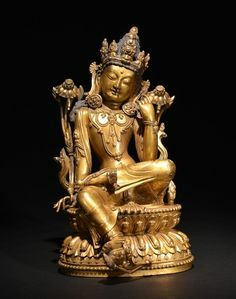 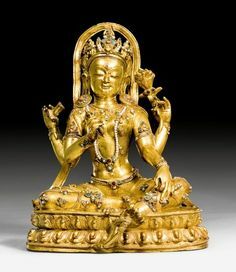 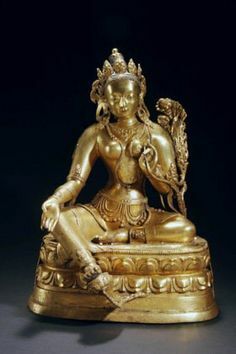 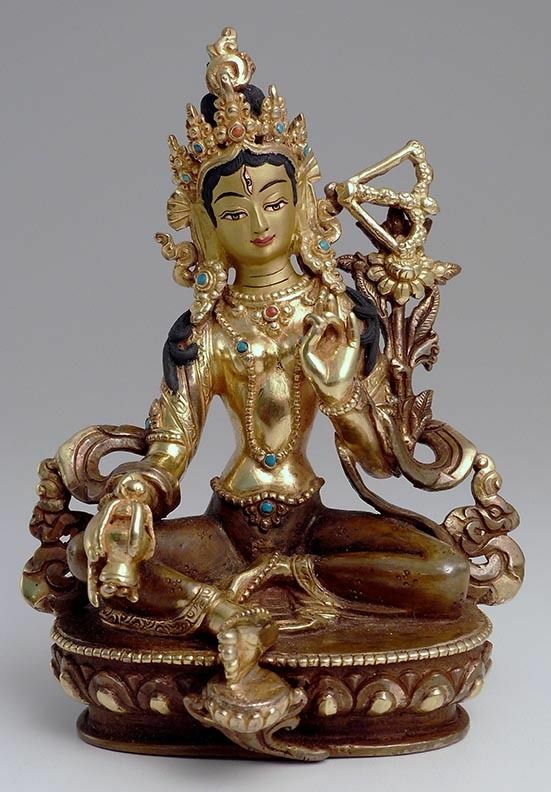 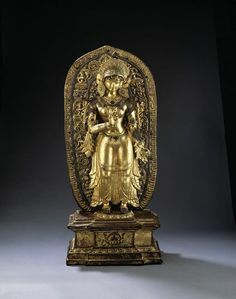 16th-17th C.
13th century, Tibet, Tara, gilt copper , is or was at the gTsug Lakhang, published by Ulrich von Schroeder, photo on Himalayan Art Resources. 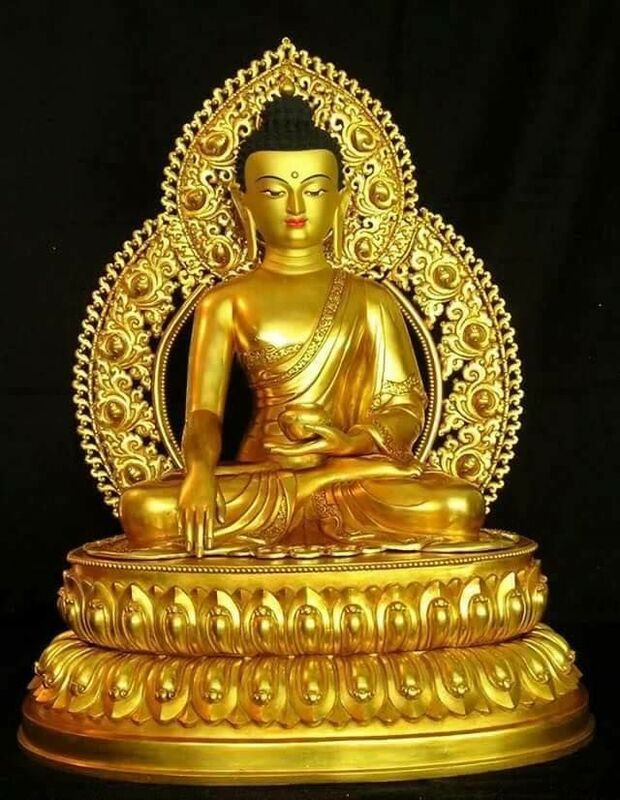 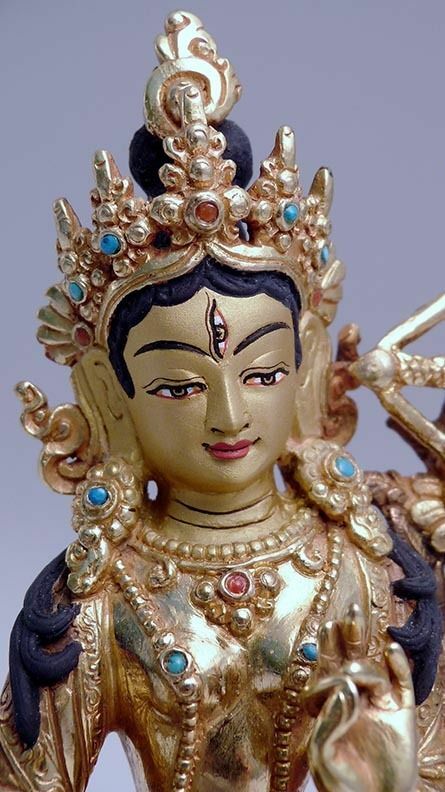 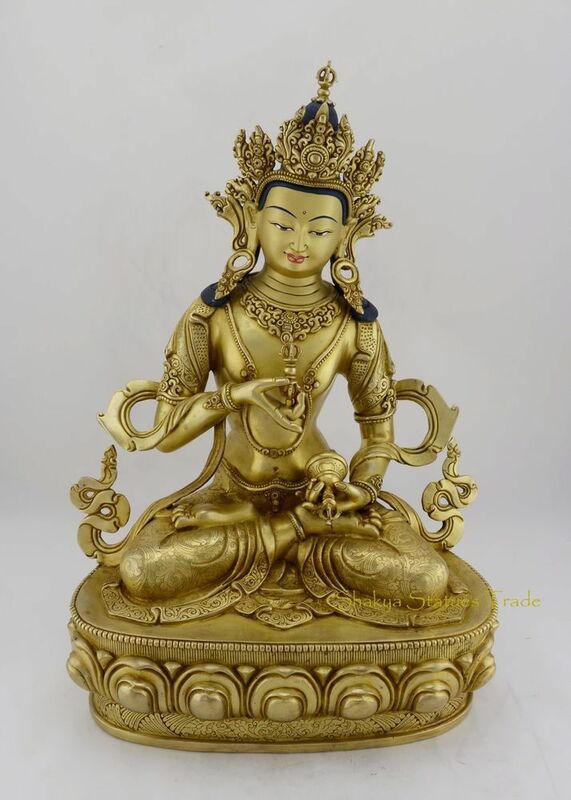 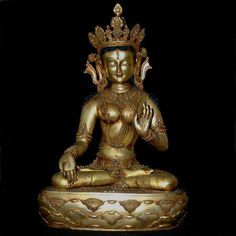 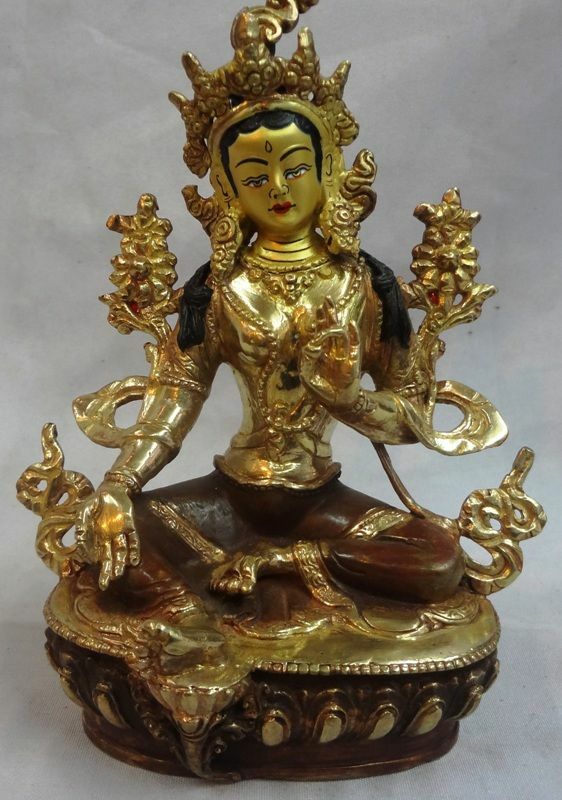 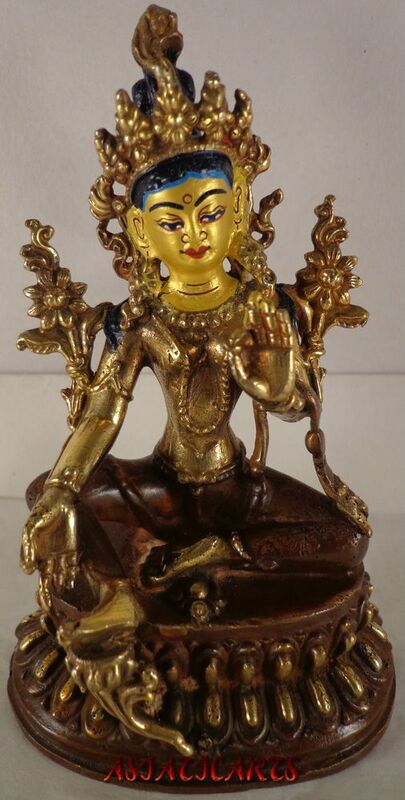 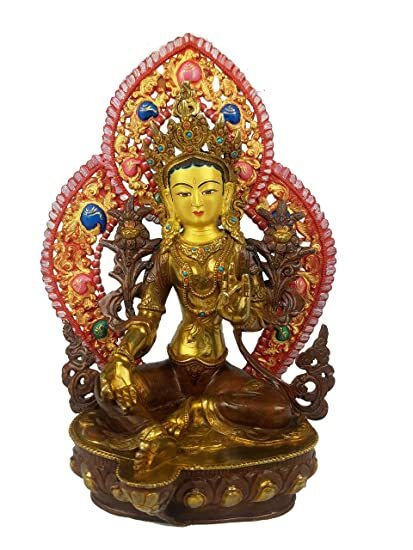 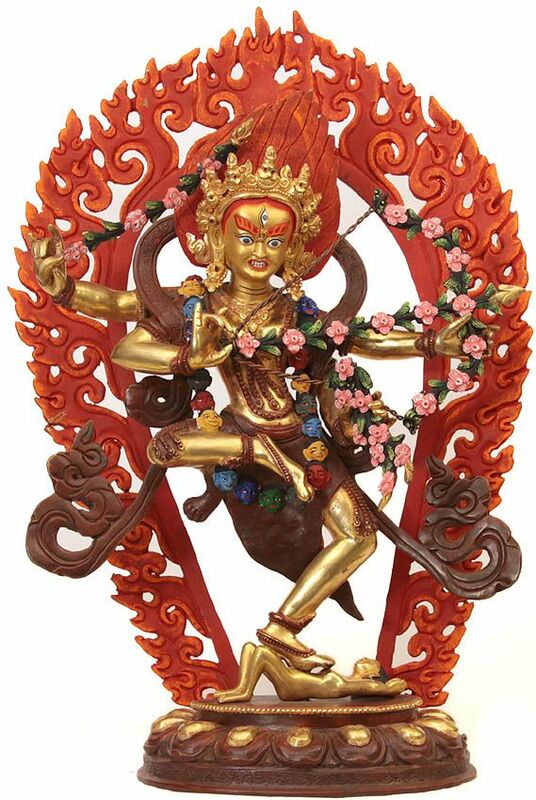 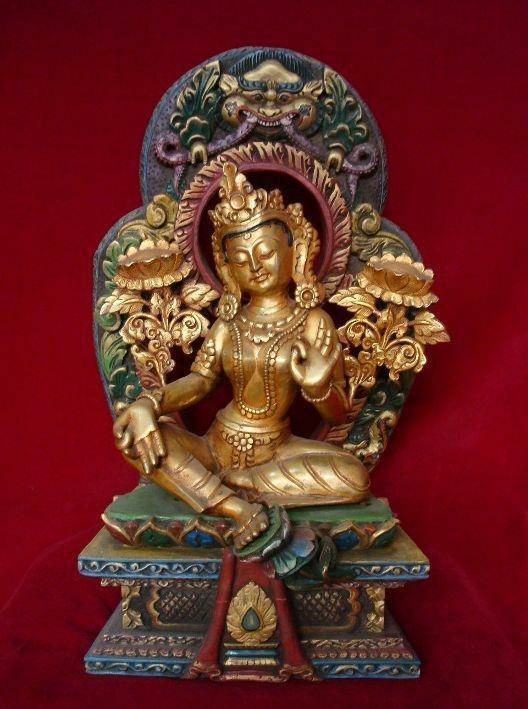 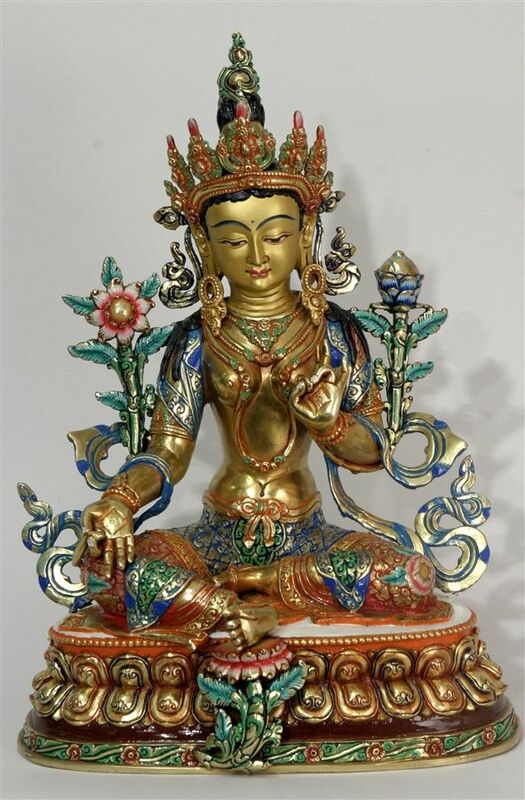 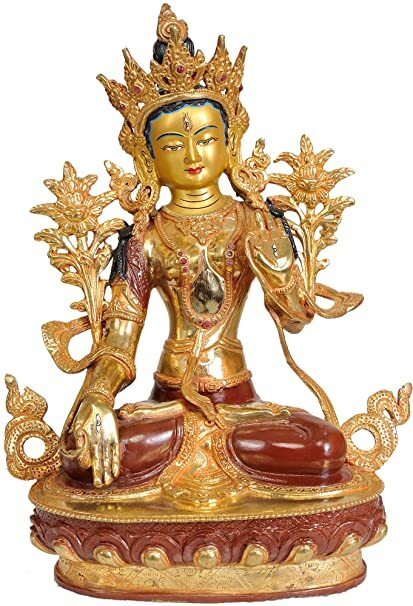 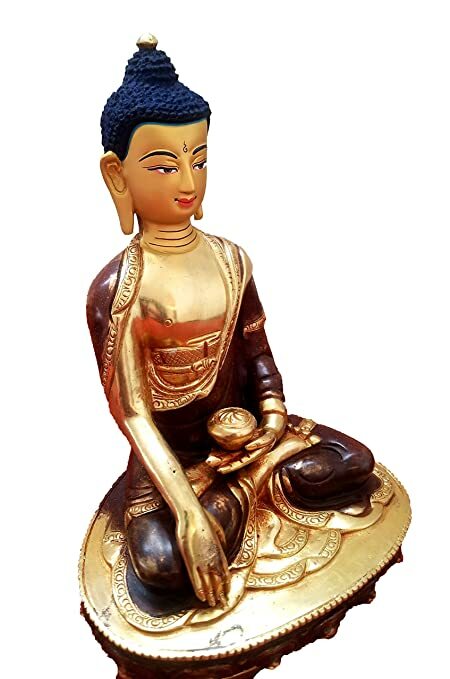 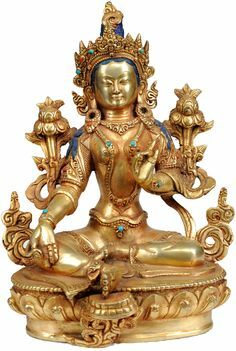 Green Tara Statue Copper with Gold Plated Nicely Created by Hand in Nepal. 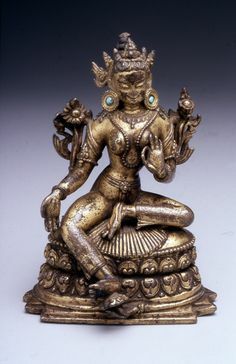 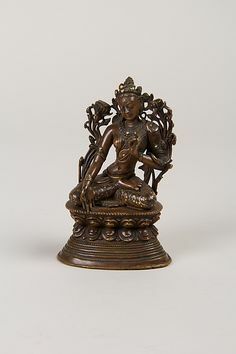 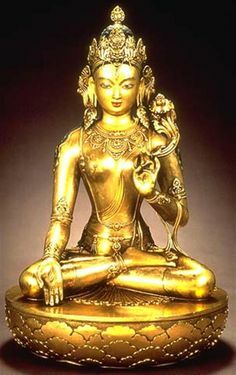 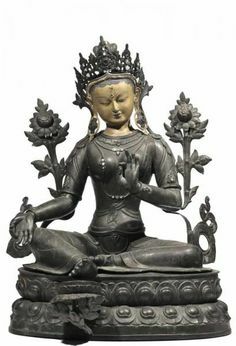 A Nepalese seated White Tara statue. 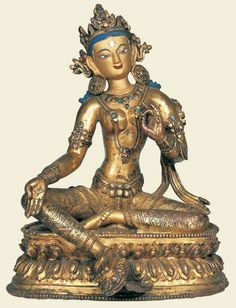 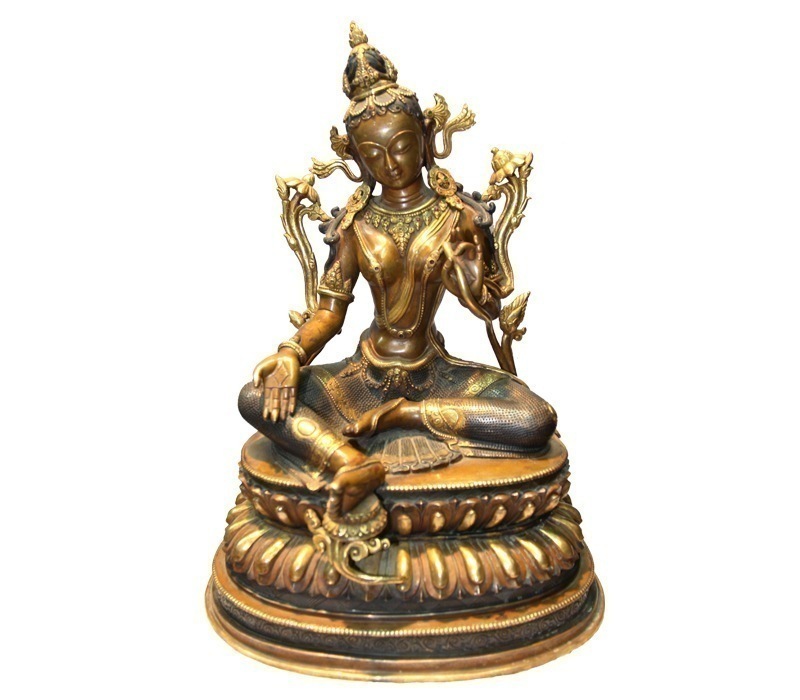 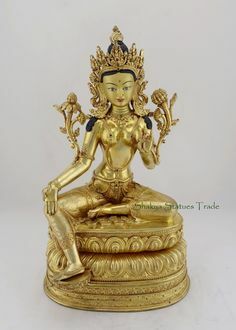 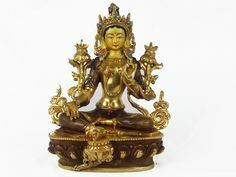 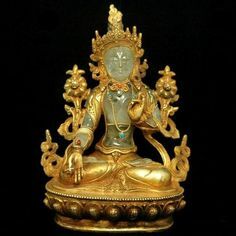 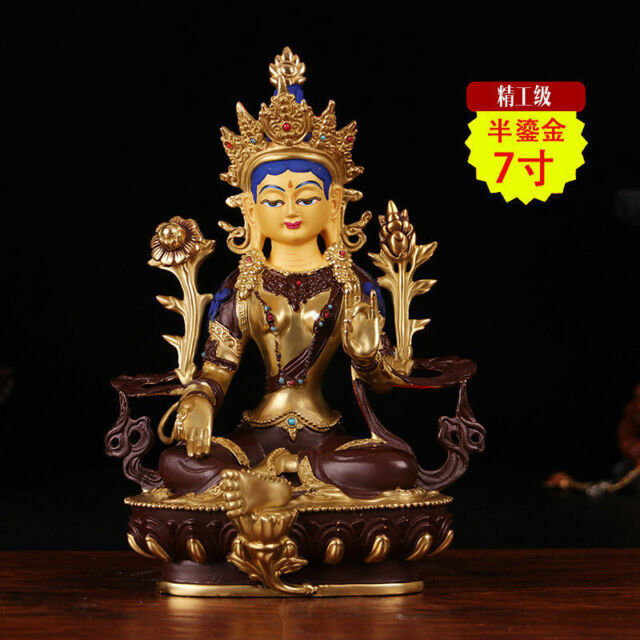 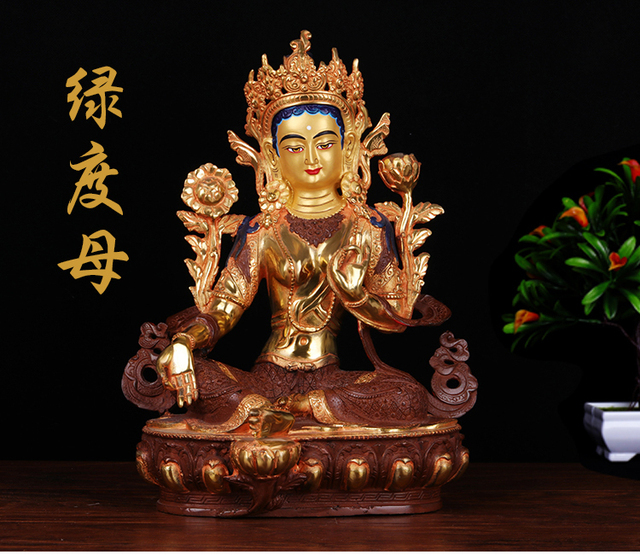 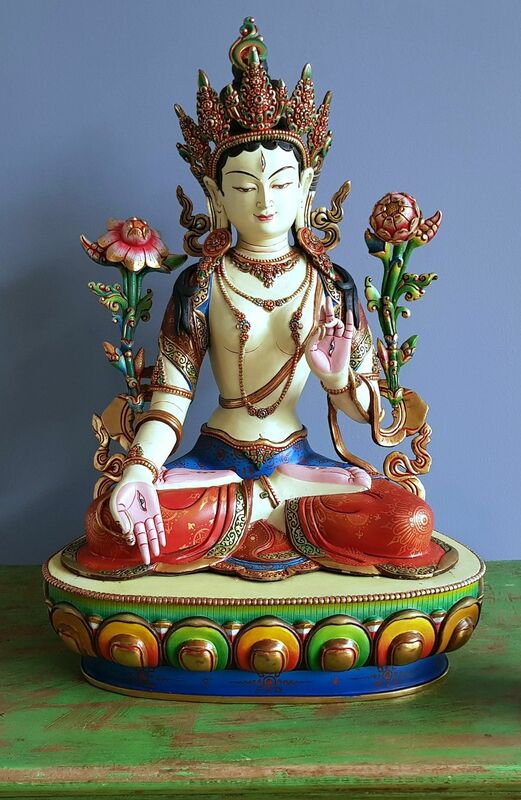 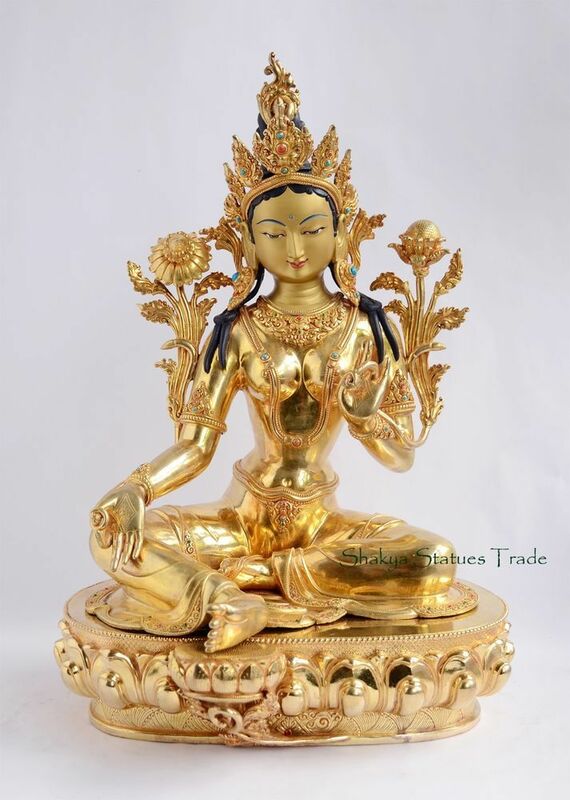 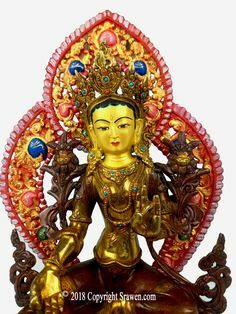 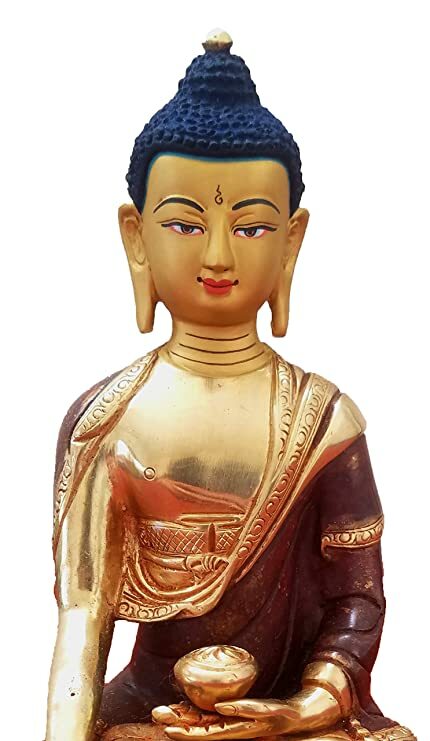 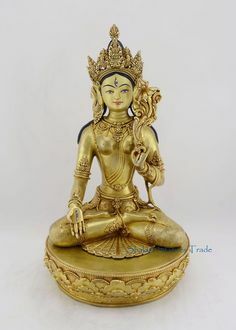 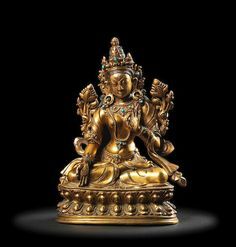 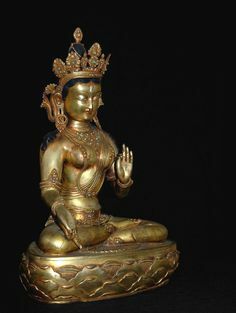 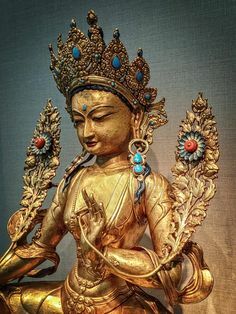 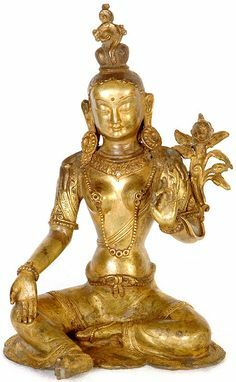 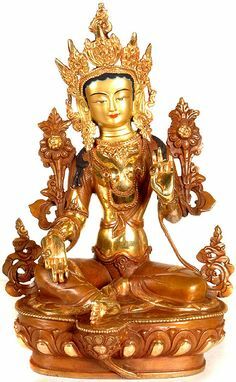 century statue of White Tara, cast in bronze and gold gilt, with intricate gemstone inlay. 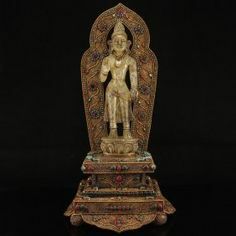 13th-14th century (or later? 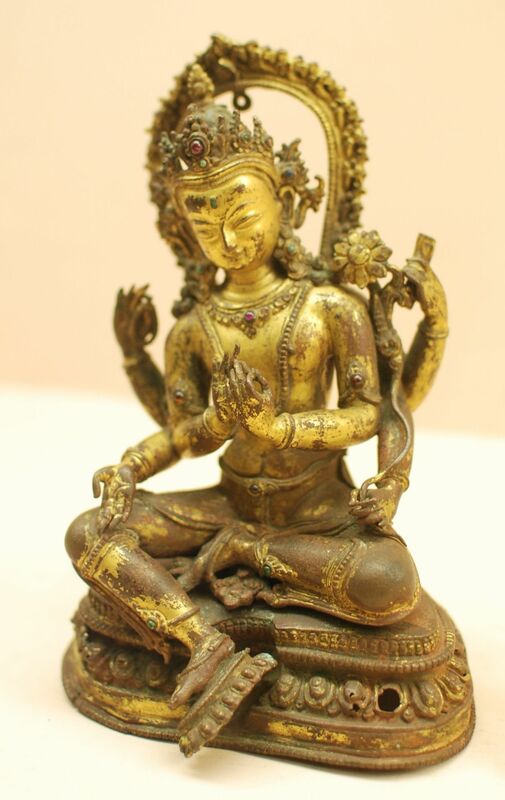 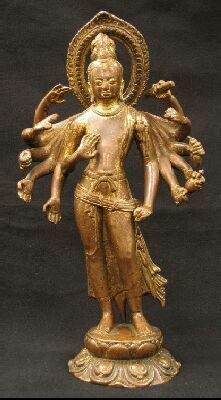 ), Nepal, bodhisattva, bronze (copper alloy), private collection, photo by S&R Asian Antique. 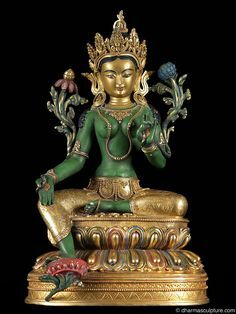 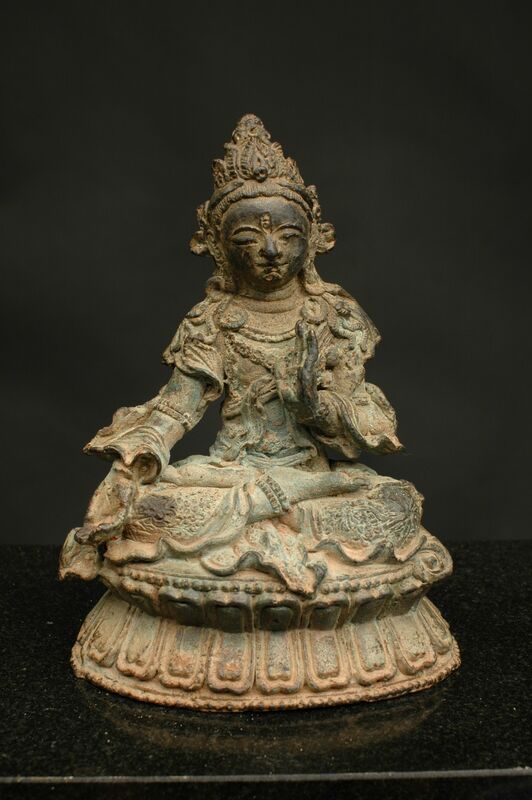 Green Tara Bronze, Tibet / Nepal End of century Green Tara sits with the right [.